Listen to Kathleen Sharp discuss this story on our behind-the-scenes podcast, The Edit. It was a hot summer day on the Hopi reservation in Arizona, with sunlight slanting onto jagged vermillion cliffs. A swarm of boys and girls were playing atop the plateau known as Second Mesa, their faces aglow in the late afternoon light. Suddenly, one of them spotted two white strangers skulking around. It was 1978, and not many white men showed up in this isolated part of northeastern Arizona. Fewer still made it to the stony outcrop below Shungopavi village where the children played. The strangers were furtively hunting for rare pottery and other exquisite items that are coveted by collectors who are willing to pay dearly for them. A few days of hunting could fetch as much as $15,000 (which would be about $60,000 today). A version of this story originally appeared in the November 2017 issue of Pacific Standard. The men had been searching for hours when rays from the setting sun illuminated the mouth of a small cave partially covered by rocks. One of them climbed up to it, removed some rocks, and peered inside. As his eyes adjusted, he saw four wood figures, each about a yard long. Three of the carvings were arranged tenderly on a bed of feathers, their heads resting on a log, while the fourth leaned against the cave wall as if guarding the others. The figures seemed almost animate, with expressive eyes, open mouths, and sturdy limbs. The man knew immediately that he&apos;d stumbled onto something precious, and called to his companion. This cache could be worth a fortune. The two intruders could have stolen the relics then and there. But there was the matter of the children. So the thieves left and returned the following night. Darkness provided cover. The sound of a baby crying pierced the night. Armed with penlights, the two men picked their way through snakeweed and cacti. When they found the spot, one man crawled inside the cave and handed the figures carefully to the other. Then, the two sprinted down the cliffside, cradling the gods like small children. They stashed the figures under a bush at the foot of the mesa and set off to fetch their car. Under a skein of stars, they trudged along Highway 264, the two-lane road that cut through the Hopi reservation, then drove back to the hiding spot. But as they were stashing the gods in the back seat, a Hopi game warden pulled up. The thieves kept their cool, and chatted with the official until he left. Having narrowly avoided capture, they hurriedly finished packing and sped the 80 miles south to Winslow, Arizona. In their haste, however, they accidentally left one of the relics behind, the one known as Corn Maiden&apos;s Daughter. She would later be found and returned to the tribe. Four decades later and a few miles to the west of Shungopavi, a phone rings inside tribal headquarters. Leigh Kuwanwisiwma, director of the Hopi Cultural Preservation Office, answers. "Owi ... owi," he says, repeating the Hopi word for "yes." His frown deepens as he hangs up and announces, "There&apos;s been another looting." The air goes out of the room. This time the thieves struck at night, flying a helicopter so low over the reservation that the noise woke an old woman. The robbers landed on a volcanic outcrop, dug six feet into the earth, removed a trove of rare objects, and roared away. The robbery occurred at a Hopi settlement known as Hoyapi, or Little Giant&apos;s Chair. 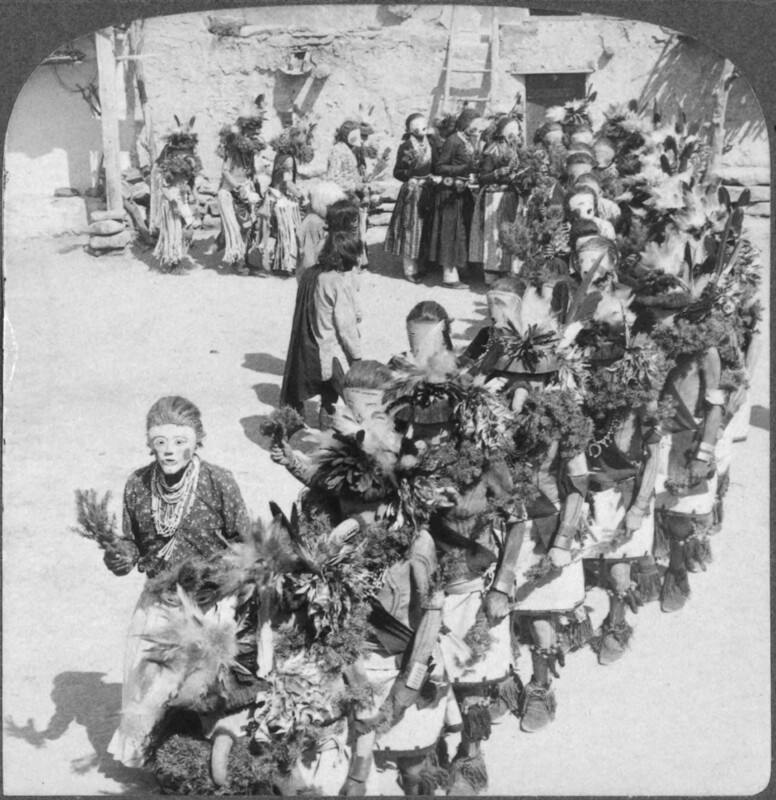 Around the 12th century, it was a teeming village with hundreds of residents and 200 rooms filled with ceramic jugs, woven mats, and religious effigies. But it was later abandoned, and, over time, wind, rain, and shifting ground buried the ruins. Native people have made pilgrimages to this volcanic outcrop for centuries, carrying gifts and prayers to honor their ancestors, followed, years later, by crooks who journeyed on foot, on horseback, in wagons and pick-ups and vans, itching to steal whatever they could. Like many pre-Columbian sites on this timeless plateau, Little Giant&apos;s Chair is both a Hopi shrine and a crime scene. America&apos;s ancient heritage is disappearing at an alarming rate. Some archaeologists estimate that more than half of America&apos;s historic sites have been vandalized or looted. According to the non-profit Saving Antiquities for Everyone, over 90 percent of known American Indian archaeological sites have been destroyed or degraded by looters. As the cultural legacy of Native American tribes has vanished, the demand for genuine U.S. antiquities has exploded. And few objects are more coveted than a Hopi religious item, Kuwanwisiwma says. "People love them so much, they are slowly robbing us to death." The outside world calls them "artifacts," but they are often ceremonial items that have been passed down over the years and are still in use by the tribes. Others are ripped from grave sites like the one at Little Giant&apos;s Chair. If this burial ground had been in Arlington, Virginia, or Gettysburg, Pennsylvania, the police would have wrapped the scene in yellow crime tape and called in their top investigators. But on this case, the primary detectives were a Hopi ranger and the skeleton crew at the CPO, whose mission is to find, repatriate, and protect the cultural objects that belong to the Hopi people. One of the first to arrive on the scene was the amiable ranger Detective Roderick Holmes, dressed in his uniform of a khaki shirt, green trousers, hiking boots, and a holstered gun. He conferred with CPO staff members on what was known and what could have been stolen: ceramics, ceremonial pieces, and prayer sticks. "There&apos;s a market for skulls and even fragments of bones," he says. But good luck solving a robbery like this, Holmes adds. "It&apos;s a cat-and-mouse game where you have to catch the looters in the act." Joel Nicholas, 40, is a shy archaeologist who does what he can to help Kuwanwisiwma keep up with the caseload in this paper-strewn office. Like most of the men on the reservation, Nicholas wears a thick braid down his back and drives a pick-up truck. Later, he&apos;ll drive out to the looted site and scan the ground for clues. The rest of the CPO staff consists of an administrative assistant whose enormous old desk serves as a radio tower of sorts, transmitting signals hither and yon; a legal researcher who expertly juggles the technical and political aspects of his job; and an intern or two, who tend to the office&apos;s constantly ringing phones and pinging electronic devices. Overseeing it all is Kuwanwisiwma, a small but nimble man with a thin ponytail and receding hairline. Clad most days in jeans, sneakers, and a work shirt, he looks a decade younger than his 67 years. Kuwanwisiwma works with curators at the nation&apos;s most august museums, from the Smithsonian in Washington, D.C., to the Denver Art Museum. A scholar and archaeologist, he serves on cultural advisory teams with the National Park Service and works with the agents and rangers who patrol national monuments and parks in the Four Corners region. He&apos;s friends with other tribal leaders and has formed a national network of cultural officers who repatriate stolen works and grapple to protect their peoples&apos; distinct cultural legacy. Leigh Kuwanwisiwma, director of the Hopi Cultural Preservation Office. Kuwanwisiwma&apos;s mild temperament belies a wicked sense of humor. But underneath that easygoing exterior is a fury over the theft of his nation&apos;s patrimony. "It makes my blood boil," he&apos;ll often say. He and his staff chase clues on the black market, hoping to spot a stolen Hopi object. They prowl online sites such as eBay; Indian art markets; private estate sales; and auction houses—all the while keeping one ear tuned to the rumor mill. There are lots of leads, but not enough hours. During the weeks following the Little Giant&apos;s Chair break-in, the office hosted a constant stream of priests, elders, and officials. One such visitor was Bucky Preston, a CPO advisor. Standing a lean 5-foot-7, Preston sports a thin, dark mustache, wire spectacles, and a polyester running suit. He has run thousands of miles to draw attention to Hopi environmental causes, maintains the ancient running trails that crisscross this land, and teaches Hopi youngsters to race for physical and spiritual strength. Preston lives about 13 miles away, on First Mesa, in the village of Walpi, and has been around for many break-ins over the years. When he was about 18, he and his clansmen hired a construction crew to restore a three-story house built of wood and stone. The crew had started in the cellar to stabilize the lower walls before moving upward. "Hopi and Anglo workers were emptying sacred items out of the home so they could work," he recalls. Around the same time, many sacred items began disappearing, including a snake-encircled tsaanyano known as The Defender. "You have to understand that these sacred things are only touched through prayer and having faith, belief, and humility," he explains. This latest looting has visibly shaken him. He looks away and practically whispers: "I don&apos;t know what I can say to help stop it." The Hopi and their ancestors have lived in this region for 10,000 years, and their aboriginal lands extend far beyond the reservation&apos;s 1.5 million acres. To the west is the Grand Canyon, from where the Hopi people are said to have emerged into this world. To the north lie Mesa Verde, in Colorado, and Bears Ears National Monument, in Utah, where their ancestors built cliff dwellings. To the east are the Great Houses of Chaco Canyon, New Mexico, and Canyon de Chelly. Throughout their history, the Hopi have been called the Basketmakers, the Ancestral Puebloan, and the Anasazi (a Navajo term meaning "ancient enemies" that the Hopi firmly reject). The Hopi people refer to their ancestors as the Hisatsinom, or People of Long Ago. Those ancestors traded with the Aztecs, and possibly the Mayans, and brought chocolate and parrot feathers to North America. In what we call pre-history, they created shell jewelry, tools and weapons, woven baskets, and ceramic vessels. When Christ was born, the Hopi were cultivating corn, squash, beans, and cotton. Around 900 C.E., they built the breathtaking village of Oraibi, which is the oldest continually inhabited community in the United States. By that time, the Hopi were designing plazas, terraces, and kivas—ceremonial chambers that they built underground. When Spanish soldiers and Franciscan priests arrived here in 1540, they tried to subjugate these peaceful people with swords and gospels. But they couldn&apos;t. In the mid-1600s, the Europeans gave up, and didn&apos;t return for two hundred years. As a result, the Hopi have thrived in isolation for centuries, their religious zeal and fertile imaginations matched only by their fierce independence. Unlike most other tribes, they have never signed a treaty, never fought against the U.S. Army, and never been conquered. Today, most of the 12 Hopi villages perch atop three rocky mesas—the First, Second, and Third mesas. Some villagers live without electricity or running water; roughly half live below the poverty line. Meanwhile, their most sacred religious items are fetching exorbitant prices on an international black market, which is estimated to be worth as much as $4 billion a year. "We have a huge problem in the U.S. because we don&apos;t protect our country&apos;s artifacts," says Martin McAllister, a forensic archaeologist. Art collectors from Dubai and Beijing can purchase an exceptional Native American item at auction in London, Brussels, and Paris—and the tribe from which it came will probably never see it again. "It&apos;s not just the legacy of Native Americans that we&apos;re losing," says Marietta Eaton, director of the Anasazi Heritage Center. "It&apos;s all of ours." To the Hopi, however, these are not mere objects. These are living, breathing spirits called Katsinam, which the Hopi often refer to as friends. Some of them are deities who convey messages from the people to the Creator. And when the Hopi pray to these friends, they don&apos;t ask for personal favors; they entreat the spirits to bless all living things. 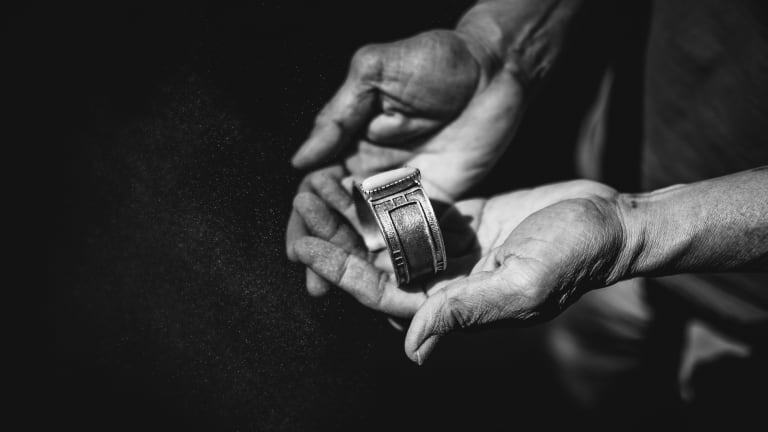 For thousands of years, the Katsinam have helped the Hopi to prosper in this arid desert. "They&apos;ve taught our people how to hunt, farm, find water, and make art," Kuwanwisiwma says. In return, the Hopi pray to their gods and messenger spirits every dawn and dusk, giving thanks and vowing to protect them. CPO research assistant Leigh Wayne Lomayestewa remembers the day in 1977 when, as a teenager, he was initiated into manhood. With a broad, open face, honeyed voice, and lumbering gait, Lomayestewa is a calming presence. He grew up in Shungopavi, listening to his uncles talk about the ancient ways. He spent years learning about the moral precepts of the Shungopavi men&apos;s religious society. Few Hopi villages can boast of such a rich ceremonial cycle, and few work as tirelessly to replenish their religious societies by educating and initiating their youth. By the autumn of 1977, Lomayestewa and some other teenage boys were ready to become men. It was time for them to participate in Astotokya, or Night of the Washing of the Hair. To prepare for this rite of passage, the sons&apos; fathers spent days hunting and cutting up recently killed sheep. Their mothers baked bread from blue corn. The elders purified the underground kivas. Then, when the stars aligned, the sacramental items were retrieved. Among these were the four consecrated deities called the taalawtumsi: Corn Maiden, Corn Maiden&apos;s Husband, Corn Maiden&apos;s Daughter, and Dawn Woman—all of them crucial for performing the coming-of-age ritual. On the appointed night, the priests chanted their prayers and sang their songs. Lomayestewa and his boyhood friends were initiated into manhood. A week-long celebration followed. When it was over and the mutton, corn bread, and sweets had all been shared, the taalawtumsi were returned to their hideaway. There, they would rest another four years, until the next initiation ceremony. But that next ceremony never happened. The continuity of the coming-of-age ritual was interrupted when the two white men, seeing only treasure, broke into the cave and took the deities away. They knew they had stolen something valuable, but they didn&apos;t know what it was. The taalawtumsi had never been seen by visitors or even described to anyone outside of the men of Shungopavi. 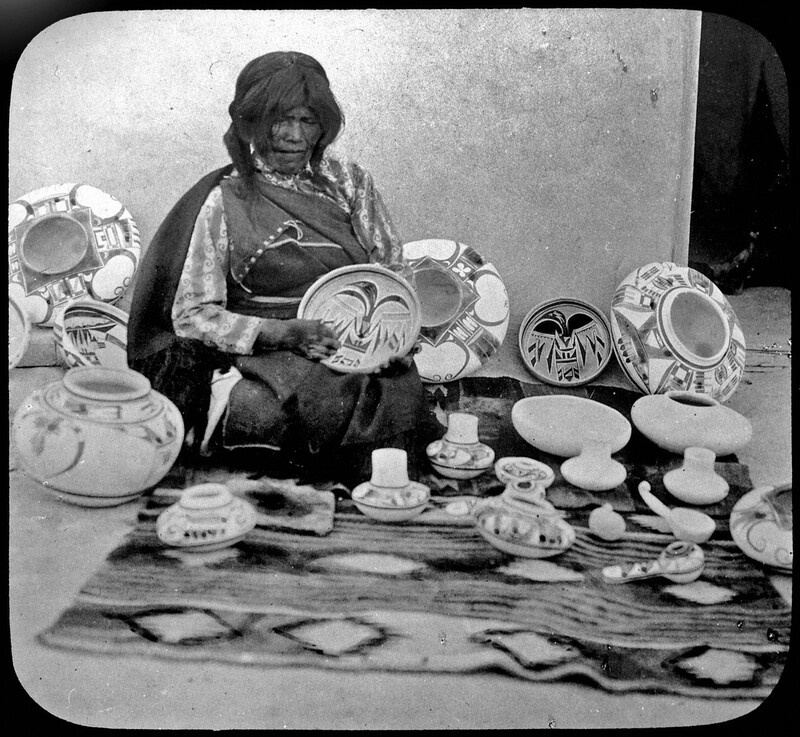 Nampeyo, a Hopi pottery maker seated with examples of her work. In 1993, the Arizona Republic published an investigative account of the theft, revealing many of the details recounted here. Jimmy Lee Hinton told the newspaper that, by the time he and his accomplice were in their early twenties, they had become experts at digging up ancient pottery. Hinton was a dark-haired tan man who, with his headband, could pass for an Indian. He and his friend had sold rare Sikyatki polychrome jars made some 500 years ago, which were prized for their yellow hues, narrow necks, and bulbous shoulders. The carvings from the cave, Hinton knew, would be appreciated by collectors as a one-of-a-kind treasure, and he was eager to make a deal. Even though he and his buddy had dropped one of the taalawtumsi, Hinton figured he could sell the remaining three for $50,000 (or about $195,000 in 2017 dollars). To obtain top dollar, he enlisted the help of a looter-friend, Stanley Olsen, who squired Hinton around the upscale galleries of Scottsdale and introduced him to the art dealers who specialized in such things. No one asked the two young white men if the items were stolen; no one alerted authorities; and no one bought the objects. Yet the underground grapevine crackled with news of the Indian "artifacts." One notorious dealer was Don Stephenson, a convicted looter who had helped Hinton fence stolen goods in the past. His son-in-law, Arthur Neblett of Ramah, New Mexico, alerted fellow collector Eugene "Jinx" Pyle about the objects. Meanwhile, bad luck fell upon the looters. Hinton, a drug user, was told that his kidney and liver were starting to fail. His accomplice was reportedly struck by a car while riding his motorcycle and nearly died. Their friend Olsen, who had led them around Scottsdale, had a few run-ins with the law and landed in prison. When Hinton contacted a Chicago gallery owner, offering to sell her the taalawtumsi, she recoiled. Don&apos;t you know that terrible things happen to people who steal Indian items? That&apos;s when Hinton linked his misfortunes to the "Indian curse." He said he was so spooked that he wrapped the deities in plastic and buried them under a chicken coop. There they lay for nearly a year, until Jinx Pyle contacted the looters in August of 1979. He had decided that the old wooden figures might be worth something, so he arranged to meet Hinton in a godforsaken spot called Fort Thomas, Arizona. Behind a store, Hinton showed Pyle the three idols. After some negotiation, Pyle offered to buy them for $1,600 (or $6,200 in today&apos;s dollars). It was a far cry from the $50,000 that the looter had imagined. Nevertheless, Hinton agreed. The Antiquities Act of 1906 was supposed to stop the theft of these culturally significant items. After the Civil War, a stampede of self-styled excavators and collectors had galloped west, overcome by the archaeological fever that was sweeping the land. Men like F.W. Putnam of the Peabody Museum and George G. Heye of the Museum of the American Indian launched expeditions to add to their collections, often with the support of East Coast financiers­—the going rate for grave robbers was $5 for an Indian skull, $20 for a skeleton. Their curio cabinets grew into some of the most respectable museums in the country, their holdings studied by scientists and archaeologists the world over. CPO director Kuwanwisiwma tells of a time during a great famine when men from one museum arrived with wagons full of flour and lard. "My grandparents told me about men knocking on their door and offering to give them food in exchange for their religious items," he says. "I think about this a lot. What would I do if my kids were starving?" Of course, the knowledge extracted from the contraband taught us much about history and ourselves. But to the tribes, the excavators were nothing more than thieves, dishonoring their culture and desecrating their dead. Despite these statutes, looting on reservations and public land has continued to escalate. Enforcing the law is difficult in this era of constant budget cuts and understaffed parks. And now even the national monuments themselves—and the newly protected Bears Ears National Monument in particular—are under threat. Digging on private land is an entirely different matter. Typically, all you need is the owner&apos;s permission to dig on their land, and any antiquity you find is yours to keep or sell (except for bones). This further complicates law enforcement: Looters caught red-handed can always say they found the objects on private property. Tomb raiders in the Four Corners are a varied lot. Some are Mormons like Hinton, who believe that the ruins belong to them because their pioneer ancestors "settled" this land in 1880—even though the Hopi, Zuni, Utes, and Navajo called the area home long before that time. When confronted while digging on public land, some white residents claim that pot-hunting has been a family tradition for generations and is their god-given right, even though it has been prohibited for over a century. And then there are professional mercenaries who try to keep pace with the black market&apos;s demands. They hire sophisticated crews and arm them with backhoes, hydraulic machinery, and long-range rifles. Finally, there are the inside jobs. A collector looking for authentic Native American pieces might send a middleman to the reservation. That middleman might approach a tribe member, especially one who is struggling with drug or alcohol addiction, and offer big money for a ceremonial item. 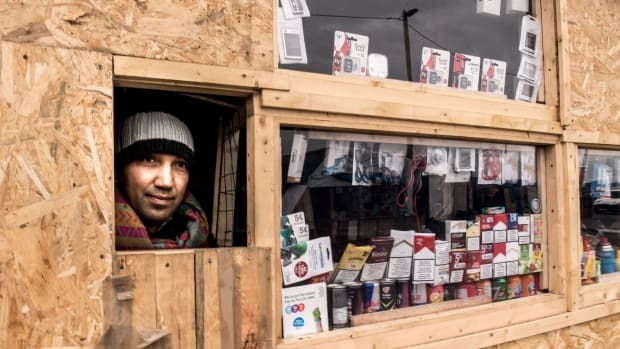 Regardless of where they come from, outsiders get a taste for buying the sacred, says CPO advisor Bucky Preston, and they wind up "taking, taking, taking them all." After Hinton and his partner broke into that cave, it was only a matter of months before the elders of Shungopavi discovered that their taalawtumsi had been stolen. They were heartbroken. They reviewed their options. Should they keep the existence of these powerful items private, as they had for millennia? Should they report the theft to Hopi policemen, who are not privy to the secrets of every religious society in every village and who don&apos;t always follow Hopi customs? Or should they take the unprecedented step of contacting the same entity that had long persecuted their people and forced their children to attend punitive boarding schools: the U.S. government? Eventually, a consensus was reached and the men of Shungopavi contacted the Federal Bureau of Investigation. The Hopi quickly learned, however, that the laws of the white man do not take into adequate account the gravity of crimes against the gods. 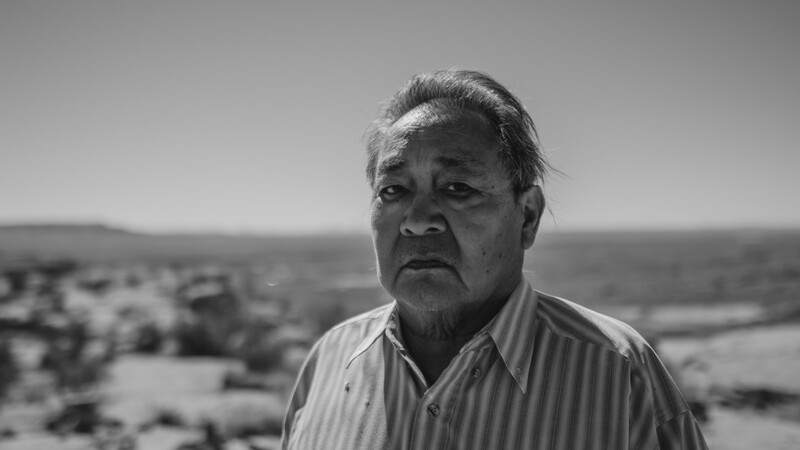 "They treated the taalawtumsi like a stolen TV set," says Ronald Wadsworth, a Hopi elder. It took some explaining, but eventually FBI agent Steve Lund and U.S. Attorney Linda Akers came to appreciate just how precious these living "friends" were to the Hopi—and how deeply the village was suffering in their absence. The investigation turned earnest as the FBI questioned gallery owners, collectors, and dealers, including Stephenson and his son-in-law. Neblett later told his friend Jinx Pyle that the FBI was searching for the stolen gods. But a dozen years passed with no sign of the taalawtumsi. Then, in 1990, investigators got a break. Hopi detective Alfonso Sakeva and FBI agent Lund finally located Pyle some 1,200 miles away, near Eugene, Oregon. To avoid arrest, Pyle fingered Hinton and his accomplice. Pyle also told the two detectives that he had chopped up the sacred items and burned them. But FBI agent Lund wasn&apos;t convinced; he ordered a lie-detector test, which Pyle passed. In February of 1991, the collector struck a deal with the U.S. Attorney&apos;s office in Phoenix. As part of that agreement, Pyle had to tell the Hopi what he had done to their gods. On a cold March day, as the winds whipped gray clouds above Second Mesa, a reluctant Pyle, his attorney, and FBI agent Lund arrived in Shungopavi. As the white men entered a meeting hall, the room fell silent. It was packed with Hopi men who had been unable to perform the coming-of-age ritual, as well as young men who had been waiting to be initiated. The religious ceremony had been interrupted, and part of the Hopi culture was dying. Pyle stood up in front of the crowd. He told the Hopi that, if he&apos;d known how important the objects were, he never would have destroyed them. The Hopi were not impressed. A few months later, Hinton&apos;s accomplice traveled to Shungopavi, also accompanied by Lund, and apologized for his crime too. As for Hinton, he wound up serving not one but three prison terms between 1981 and 1988 on drug and burglary charges. He has since passed away, as have Olsen, Neblett, and Stephenson. Jinx Pyle declined to comment for this story. Years later, Hinton told reporters that he remained haunted by the taalawtumsi. He&apos;d fall asleep at night only to awake at 2 a.m. to the sound of tinkling chimes. He&apos;d dream of the creatures and would see flashing lights. After 13 years, Lund and U.S. investigators closed the taalawtumsi case in 1991. They never sent anyone to jail, and never recovered the sacred items. To this day, the case still weighs on FBI agent Lund. "The impact on the Hopi people was very hurtful and very real," he says. In the meantime, Wadsworth, Lomayestewa, and the other Shungopavi boys who had been initiated in 1977 had grown into responsible members of the men&apos;s society. But with three of the taalawtumsi missing, they couldn&apos;t initiate the next generations of men. Parents who were eager for their sons to be inducted urged the elders to resume the ceremony with just the one remaining taalawtumsi. Others argued that all four must be present. After much anguish, the priests decided that they could no longer delay. In November of 1992, about 63 men assembled on the Night of the Washing of the Hair to take part in the sacred rite. Joel Nicholas was a shy 15-year-old who&apos;d been an infant at time of the robbery. He was too young to participate in this Astotokya but dreamed of his day to come in four years. That night, during the ceremony, elder Roy Talahaftewa said that he felt the presence of the three other spirits in the kiva. "For us, it was such a happy time," he says. Over the ensuing decades, Hopi clansmen, elders, and staff members of the CPO have continued searching for the taalawtumsi. "I&apos;ve heard all kinds of stories about what happened to them," Talahaftewa says. One source said they&apos;d been sold for $200,000; another said they were alive in Washington state. "The guys who stole them are not giving us the whole truth. No one would want to burn an artifact like that," he adds. "It&apos;s possible they&apos;re still out there." The Hotel Drouot, in the heart of Paris, is not a hotel at all. It is the oldest and liveliest auction house in France. In this three-story bazaar of collectibles, one can buy anything from a lacquered Louis XV commode to a triceratops skull. Since its founding in 1852, auctioneers have moved an increasing variety of objets d&apos;art, and the house now sells nearly 600,000 pieces a year. By 2012, some of those objets were from Hopi tribes. In March of 2013, the Hopi learned that the Drouot was about to hold one of the largest auctions of their sacred items. Kuwanwisiwma obtained a glossy sales catalog that listed dozens of items, including sacred Katsinam. According to the auctioneer, some of the pieces had been created as far back as the 1880s, not long after white men started looting the Southwest. But many of the pieces hadn&apos;t left Hopiland until after the 1906 antiquities law was passed, according to the auction catalog. Kuwanwisiwma wanted to determine the provenance of the items, but did not have the funds to pay for a last-minute trip to Paris. So he wrote to auctioneer Gilles Neret-Minet, explaining that the lots were held "under religious custody by the Hopi people." He appealed to the auctioneer and asked him to halt the sale, he says, but never received a response. 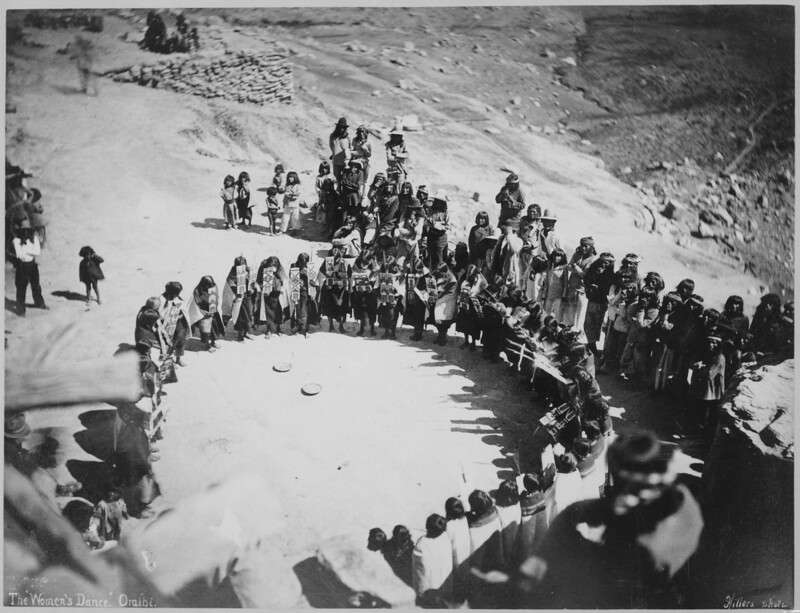 An archival image of Hopi women dancing in Oraibi, Arizona. A 1970 UNESCO meeting in Paris had led to the signing of the international antiquities agreement—formally called the Convention on the Means of Prohibiting and Preventing the Illicit Import, Export and Transfer of Ownership of Cultural Property—which gives signatory countries the right to recover stolen or illegally exported antiquities from other member countries, and includes federally registered Native American tribes. Hopi leaders had hoped the agreement would help their cause. But whether the agreement applies to private collectors has been the subject of legal debate. Kuwanwisiwma contacted the American consul in Paris, Charles Rivkin, who tried to help. Along with other tribal leaders, Kuwanwisiwma also reached out to the French ministers of Culture and Justice, and asked the directors of several museums to write letters to the auction house. Pierre Servan-Schreiber, a lawyer in the Paris office of Skadden, Arps, Slate, Meagher & Flom, was contacted by Survival International France and agreed to represent them pro bono in court on the Hopi&apos;s behalf. At the 11th hour, Servan-Schreiber stood before a French magistrate and argued that the tribe so revered the Katsinam that they would never willingly part with them. "These are not art, but living deities," he said, "messengers to the Creator, spirits of their ancestors, and gods of natural elements such as wind, rain, and animals." The attorney explained that the tribe shares the privilege and the duty of caring for the friends, and that no single person from the tribe has the right to sell them. Therefore, he concluded, the objects had to have been obtained illegally. To bolster his case, Servan-Schreiber cited the United Nations Declaration on the Rights of Indigenous Peoples and the American Indian Religious Freedom Act as protecting the Hopi&apos;s right to control their ceremonial items, and attempted to apply French civil codes that restrict the sale of human body parts to the Katsinam. In the end, the court ruled that the Katsinam "friends" are not real humans, and that their sale by private parties is not banned by French civil code. Nor were the U.N. declaration or the American Indian Religious Freedom Act applicable. Neret-Minet won the case. What the halls of justice denied, public opinion decried. The Society for Applied Anthropology, Society for American Archaeology, and other international groups wrote letters. Oscar-winning director Robert Redford chimed in, calling the sale a criminal gesture and warning of "grave moral consequences" if it were allowed to go through. Later, a representative of the Holocaust Art Restitution Project went so far as to compare the Hopi&apos;s predicament to that of the Jews of World War II, whose art was stolen too. But Neret-Minet shrugged it off. "I think the Hopis should be happy that so many people want to understand and analyze their civilization," he told the New York Times. His appraiser, Eric Geneste, agreed, telling Radio France Internationale: "This collection is a gift to humanity ... because (for) over 30 years the collector has preserved these masks," he said, using the derogatory term "mask" to describe the headdresses and other cherished items. "The European and American collectors play the role of saviors: They preserved these objects, which will allow future generations of Hopi Indians to rediscover them in museums or institutions." The comments fueled the controversy, but also increased interest in the auction itself. "We stress the sacredness of these things," said Ronald Wadsworth, "but it seems that the more we talk about it, the more their monetary value increases." On Friday, April 12th, 2013, protesters picketed outside the Drouot. Inside, about 125 bidders buzzed around as a bank of telephone operators were poised to take bids. 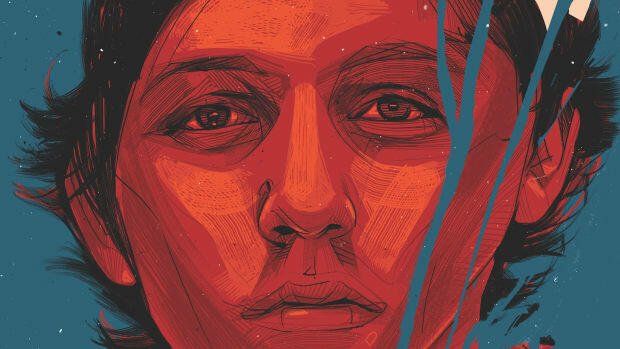 Waiting in the wings were the astonishing Katsinam—painted in vivid hues of orange, turquoise, and red. At 2:30 p.m., the sale started and euphoria seized the room. Halfway across the world in Arizona, Leigh Kuwanwisiwma and his colleagues followed the sale from their computers. On the block were 70 pieces, most of them Hopi—long-lost creations fashioned from Mexican saddle leather, horsehair, sheep&apos;s wool, plant fiber, feathers, squash, wood, and maize. Lomayestewa kept hoping that the taalawtumsi would show up. Preston prayed for the snake-encircled tsaanyano to surface. 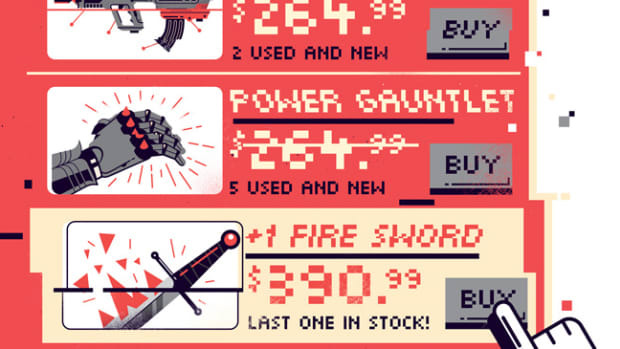 Those items did not appear that day. But other familiar objects did, and the men looked on in horror as each item was going, going, gone. By the time the last gavel came down, Neret-Minet had sold the lot for a total of $1.2 million, far more than anticipated. 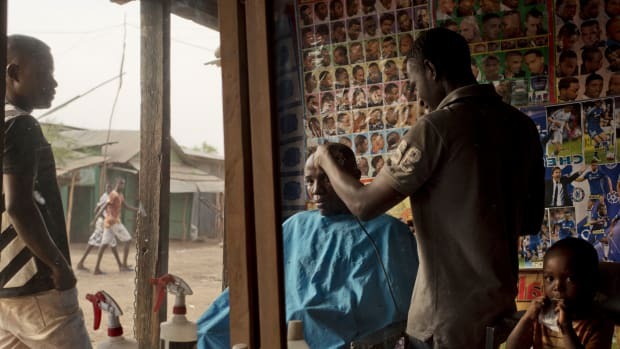 All that grief-stricken Kuwanwisiwma could do was hold his head in his hands. Around that time, however, a few parcels began mysteriously showing up at tribal headquarters in Arizona. It seems that the controversy had educated some people about the Hopi&apos;s cultural loss and the act of repatriation, and a few collectors anonymously gave back some objects. Family members of the late French singer Joe Dassin returned an item they had just bought. Later, an art dealer in Manhattan did the same, and Servan-Schreiber traveled to Arizona to hand over a Katsina he had purchased. "The elders broke down in tears," he said. "It was as if I had returned the body of a son who died in combat." Then, in December of 2013, another auctioneer, Estimations Ventes aux Encheres, announced a sale of Native American works, including 27 Hopi relics. This time, the tribe&apos;s objections were echoed by the San Carlos Apache and Zuni tribes, whose pieces were also on the block. Servan-Schreiber asked the French court to delay the sale until the tribes could identify their items, as allowed by the 1970 UNESCO accord. But again the court refused, repeating the points in its prior ruling, and noting that Survival International had failed to prove that the religious objects in the auction at hand had been illegally obtained. On Monday, December 9th, the Hopi tribe watched from 8,000 miles away as the sale began. Bids for the first piece flew rapidly: 10,000 euros, 20,000 euros, gone! The items were fetching exorbitant prices, Kuwanwisiwma recalls. A fight broke out over one particular object until the auctioneer yelled "Adjugé!" Sold! The entire sale was over in 80 minutes. 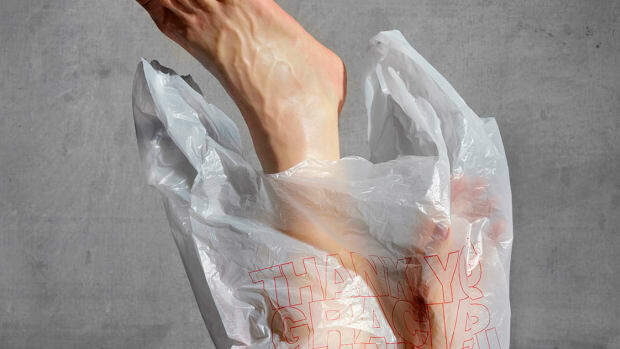 It fetched a staggering $1.6 million. Kuwanwisiwma was inconsolable. He had just watched strangers buy two dozen of his loved ones. "These are people, spiritual people," he kept saying. His throat was a sandstorm, his soul a desert. Even the mesa seemed to reek of sorrow. The next day, his phone rang. During the auction, a certain bidder had been snatching up most of the Hopi objects. The bids were coming in over the phone, and the auctioneer even stopped the auction at one point to ensure that the buyer was legitimate. But after huddling with his staff, the auctioneer allowed the sale to proceed. That bidder wound up paying top dollar for most of the Hopi pieces. And now, he was calling Kuwanwisiwma. The mysterious bidder turned out to be the Annenberg Foundation, a $1.6 billion arts fund headquartered in Los Angeles. The foundation&apos;s vice president, Gregory Annenberg Weingarten, was an artist himself, and had been distraught over the French court&apos;s refusal to stop the auction. So he and his staff had mounted a secret mission to spend about $530,000 to procure the Hopi items. Now, Weingarten wanted to return them—free of charge. Kuwanwisiwma was stunned. Nothing like this had ever happened before. When other tribal leaders heard the news, they were overcome with emotion. The Hopi accepted the offer. It took more money in legal and shipping fees to complete the rescue operation, and a few complicated negotiations among the French, U.S. authorities, and the Hopi Nation. Officials from the U.S. Fish & Wildlife Service had to be consulted about the material from endangered species—primarily feathers—and the items themselves had to be professionally tested for arsenic and mites. Finally, after about nine months, all hurdles were cleared. But before the precious cargo could make the journey, Kuwanwisiwma, Preston, and the priests had to create a new ritual to ensure their safe passage. Dancers enact a Kachina ritual at a ceremony in Shungopavi, Arizona. First, each Katsinam had to be placed in a box with enough space so each one could "breathe." No bubble wrap or synthetic materials were allowed. The friends had to be positioned in a certain way, face up and facing the sun. No woman was allowed to look at them during this process. Only men were allowed to handle them as they were prepared for their flight. Finally, their plane ascended, and, about 12 hours later, the messengers from the gods landed at Los Angeles International Airport. After a few rounds of inspections, the Katsinam were loaded into a white van. Two Annenberg employees drove for about 12 hours until they hit Hopi headquarters, arriving in a plume of dust. The Hopi people welcomed them, and hosted a traditional meal. Later, the Katsinam were seated at a long table in a conference room for a different sort of reception. A line of people waited their turn to welcome back the spirits with a whispered prayer and an offering of maize. Tears streamed down people&apos;s faces. They contemplated the abuse that their friends had suffered for the past century, and they understood, because they too had suffered. Among the returning sacred spirits was the long-lost tsaanayo from Walpi. "When Bucky saw it, his face turned radiant," Kuwanwisiwma recalls. The spirit looked just as Preston had remembered it from the day that he had last seen it some 40 years ago, with feathers sprouting from its face and the snake curled around its neck. The Defender was home now. But the taalawtumsi were not to be seen. "I feel they are still out there, somewhere," Talahaftewa says. The elders continue to have hope. Joel Nicholas, now the father of three children, is among a group of men at Shungopavi who&apos;ve been waiting some 25 years to be initiated into the men&apos;s society. After hosting the one ceremony with only the Corn Maiden&apos;s Daughter, the priests have chosen not to do so again. Nicholas works under the tutelage of Kuwanwisiwma and Lomayestewa as an archaeologist. After yet another recent break-in at Little Giant&apos;s Chair, he and his mentors spent hours examining the crime scene for clues about the looters. "We followed their tracks," Lomayestewa says. The criminals had walked a mile, crossed Arizona State Route 87, which bisects the reservation, and had changed their shoes to confuse the Hopi trackers. During the night, the looters had hiked farther to a parked vehicle and driven off. For Nicholas and his elders, it&apos;s not easy summoning the grit and determination required to follow every heartbreaking clue, day after day. It helps to be propelled by a burning desire for justice, and a deep sense of purpose, but even that is not wholly sufficient. What this crew seeks to recover is the spiritual lineage of their people—the taalawtumsi and the countless other spirit messengers who&apos;ve vanished over the past 500 years. Without their deities, the Hopi&apos;s connection to the past crumbles. Their religion is disrupted. For them, this is about more than physical objects. It&apos;s about maintaining a culture that has survived for millennia, despite the crushing odds. 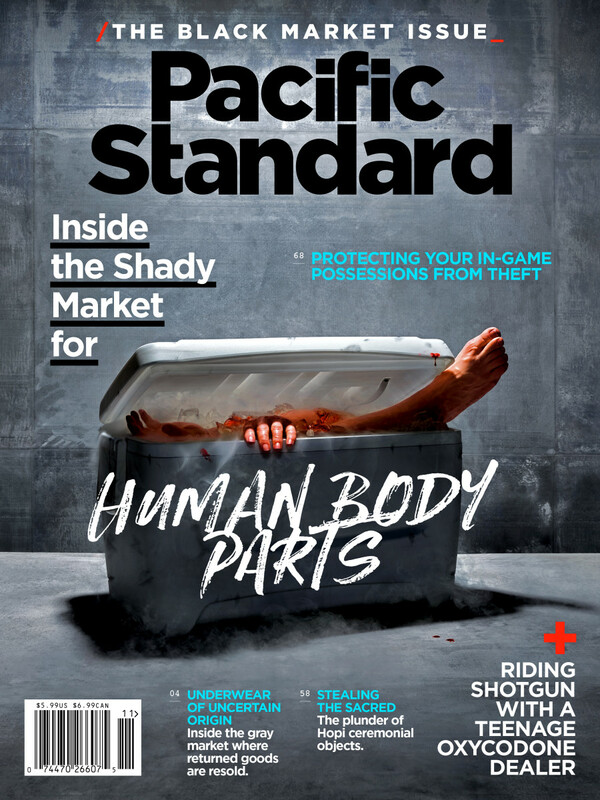 A version of this story, which was reported in partnership with the Investigative Fund at the Nation Institute, originally appeared in the November 2017 issue of Pacific Standard. Kathleen Sharp is an award-winning journalist, author, and film producer.